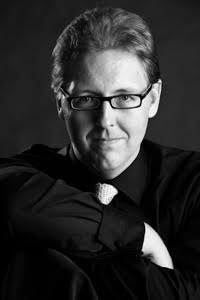 Born in Greenville, South Carolina, STEPHEN KARR is a compelling interpreter of opera and orchestral works. In 2011, Stephen co-founded Pacific Opera Project, for which he was music director until 2016. With POP, he led productions of Trouble in Tahiti, Così fan tutte, The Turn of the Screw, La Calisto (LA premiere), Ariadne auf Naxos and The Rake’s Progress (LA professional premiere), among others. The Los Angeles Times praised his performance of the Stravinsky as having kept orchestra, cast and chorus on “well-articulated rhythmic track.” He has worked with the OPERA Iowa tour, the Glimmerglass Festival, Opera New Jersey and Palm Beach Opera. Stephen has taught at Chapman University, Michigan State University, USC and UCLA. His schooling includes degrees in organ performance (Mercer University and Westminster Choir College) and orchestral conducting (UCLA). He lives in Long Beach with his wife, Hannah Waldman and their children Leonard and Eleanor.